I found this post on Susan Brubaker Knapp's blog, Blue Moon River, while web surfing the other day. 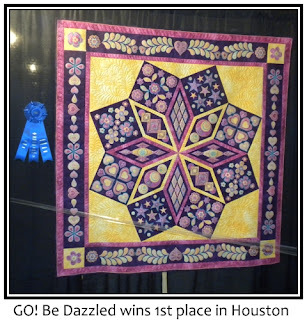 She writes about Sarah Vedeler who designs fabulous machine embroidery designs, and recently won first place in that category at International Quilt Festival in Houston. I have been blogging a bit about the experience of being a beginner in the world of quilting with embroidery apparatus. 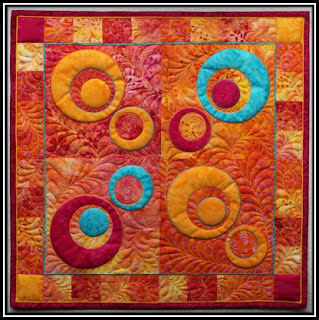 Sarah's work is an example of the potential of what I intuitively felt. Her work is amazing. Here is a project that she designed for Aurifil that can be downloaded for free in March from the Aurifil website.